← The World Cup Comes Here. Thanks, Brian Reich! Westport’s Planning & Zoning Commission gave thumb’s-up last night to 2 hotly debated proposals. 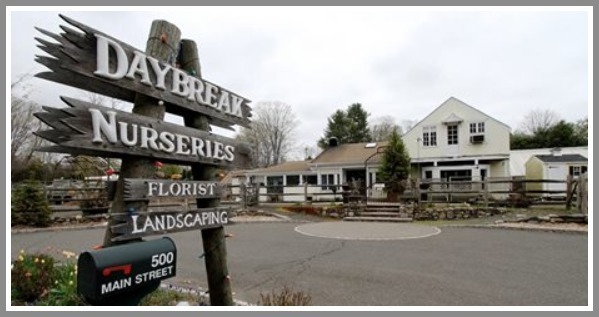 By a 5-2 vote, the board approved 9 housing units at 500 Main Street (the old Daybreak Nurseries 2.18-acre site near Merritt Parkway Exit 42). In a scaled-down version of its original plan, Able Construction will be able to build 2 2-family homes, and 5 1-family homes. All will be restricted to owners 55 and over. The Planning & Zoning Commission approved 9 housing units for this site. Late in the evening, the P&Z voted 4-2 (1 abstention) to allow a medical marijuana dispensary at 1460 Post Road East. The spot — around the shopping center corner from the old Pier 1 Imports — was most recently occupied by Coco Spa. The applicant — Bluepoint Wellness — must still be approved by Connecticut’s Department of Consumer Protection. If approved by the state, this will be the site of Westport’s only medical marijuana dispensary. The P&Z denied 4 other medical marijuana proposals, all on the Post Road: the former Bertucci’s restaurant; a site near the Southport border (Stanton Miles/Jennifer Furniture); the old DXL menswear/Blockbuster store, and the Academy of Dance building. Reasons for those denials included safety, traffic, lack of parking and location relative to zoning regulations. 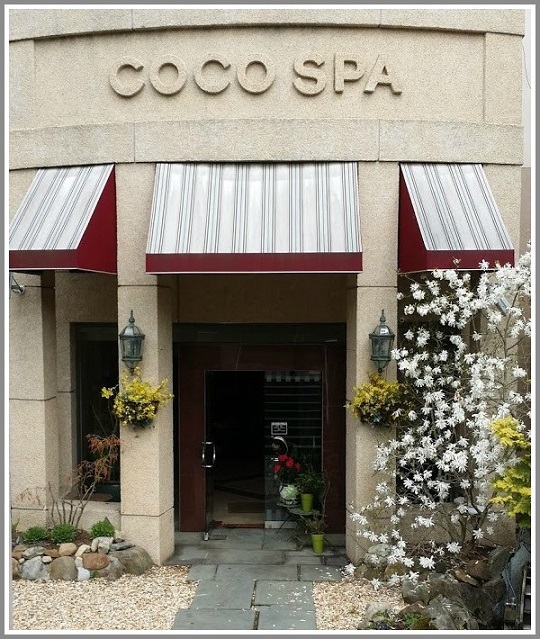 This entry was posted in Local business, Local politics, Real estate and tagged Able Construction, Bluepoint Wellness, Coco Spa, Daybreak Nurseries, Westport medical marijuana dispensary, Westport Planning & Zoning Commission. Bookmark the permalink. That’s right by the music school where kids take lessons. I’m not against medical marijuana- it was very helpful for my father when he was dying of cancer – but why can’t it be treated like a regular prescription drug and sold at pharmacies? The whole dispensary thing feels so shady. Hopefully the dispensary will look and feel like a pharmacy. I think that’s only because some people have been treating it as shady. It really isn’t. This commission went against everything this town stands for. How do you put a dispensary in the heart of kid central???? The whole complex is kid and family oriented. So messed up. This commission is so conflicting with their words. And btw why are the two members sitting on the end even on the commission???? They have absolutely no mind of their own. Bertucci’s should have had this one. It was the best application. This decision is going to come back and bite them. Poorly decided. Funny how one location was denied because less than 1,000 feet from a state Department of Transportation truck garage and salt and sand storage facility. (Most likely denied because it’s the first building you see when you get to Westport). But being steps from a music school frequented by kids is ok.
Due to the last night’s vote to approve 1460 Post Rd E #18-021, it is obvious that there are material flaws with the current special permit text amendment, not just because of the site but as a result of my research on other rother towns in how they created the language to dealt with these type of facilities .As I have stated, I am not against Medical Marijuana but as I have researched other towns text amendments and/or ordinances it is clear that there but this site is 4,475sf which nearly twice as large as the average medical marijuana dispensary across the country. The location is right next to the Westport Music Center School of Music The Westport Music Center School of Music http://www.westportmusic.com/tuition.html and the retail complex houses Westport Family Dental. The location is further bound to the south by Regents Park which is one of the largest residential developments in Westport and actually backs up to the parking lot. The existing zoning is 37% residential and should be materially reduced. As a result, I have proposed Text Amendment language below, which would help further define the appropriate size, scope, security , operations and impact on the infrastructure that a Medical Marijuana Dispensary Facility would have on Westport and further reflect the intent of the Text Amendment. 1. No more than One (1) Medical Marijuana Dispensary Facility shall be located in the Town of Westport. 3. No Medical Marijuana Dispensary Facility shall be located within 1,500 feet of any School, Preschool, licensed or unlicensed Day-Care Center, Nursery Schools, YMCA, YWCA or YMHA, Public Buildings, Public Parks, Public Recreation Areas, Places of Worship, Family Day Care Home, Group Day Care Home, Childrens Healthcare Provider, Private Occupational School or Supportive Housing. 4. No Medical Marijuana Dispensary Facility shall be used for any recreational Marijuana Sales. 5. Hours of operation may not be earlier than 10:00am and later than 5:00pm Monday through Friday. Hours of operation may not be earlier than 10:00am and later than 3:00pm on Saturday. 6. No Medical Marijuana Dispensary Facility will have drive-through service, take-out window, or drive-in service. 7. The Medical Marijuana Dispensary Facility will provide their current and proposed security plan at the time of application submission for both P&Z and Westport Police Department to review, comment and approval prior to the final P&Z approval. 8. A Traffic Study shall be required unless waived by commission. 9. The Medical Marijuana Dispensary Facility will be prohibited to sell any Medical Marijuana via the internet or via delivery service. Paid for by the KRAUT FOR WESTPORT Committee, Gabriel Sasson, Treasurer. Approved by Greg Kraut. The neighbors thoughts and concerns were clearly taken into account too a larger extent about the location of the marijuana dispensary than 500 Main.Kudos to the those commission members who saw the pitfalls of the 500Main project .I realize it was scaled back and the entrance moved and it will be pretty for those sitting in traffic to look at..Will there be a wall around it or just trees?And the affordable units will be? Will the workers be bused to the site as it was stated no vehicles on the road during construction?Perhaps Westport needs some more cluster housing in a more upscale neighborhood? I support the dispensary for those in need. So for all those opposed to the location of the dispensary, do you have a problem with the liquor store that is in that shopping center? That is a question I would proffer. I would also be more concerned about a number of prescription drugs available to mommy and daddy housed at the local pharmacies that kids see everyday. Unless of course there are so many out there provincial enough to think “we” don’t have chronic problems with non cannabinoid prescription drugs . . .
CONGRATS to our seniors that now have a new choice for housing in Westport. It is about time!! I just do not understand your point. The property was a Nursery (commercial). If this senior housing project was rejected and the developer decided to sell or develop another tyoe of commercial establishment, which would generate more traffic? I believe the answer is quite easy. This property will generate healthy taxes for Westport while not burdening our schools with more students This is fantastic for so many reasons. As for the comment about “well healed”, what is your reasoning to be nasty? Is helping our seniors who have probably lived in Westport for years that difficult for you? Is having housing specifically designed for seniors wrong? would you rather have a grocery store as an example or another nursery located in that spot? What traffic would that create? Congrats to our seniors. Close to town. Close to the highway. And designed for you. Just a note to express my comfort with the decision by the P&Z Commission to approve a Medical Marijuana Dispensary in Westport. While my preference was the Bertucci site, good people can disagree on which site is best. The reality of a Dispensary in Westport will depend upon the action of our State authorities in determining where in Fairfield County one or more Dispensaries will be approved. I believe that should occur in the course of the balance of 2018. Finally, rather than being a negative to Westport I believe that if the selected location is approved by the State, we will look back on the matter and the Dispensary not as a negative, but a positive. Also, at some point, our society and lawmakers will allow this Medical product to be available in Pharmacies as with other drugs.. I agree with Don’s comments. I would only add that I have yet to see a persuasive argument that there is any logical difference between a pharmacy dispensing the plethora of controlled substances that are prescribed by physicians, and a medical marijuana dispensary that dispenses one kind of controlled substance that is prescribed by a physician. There is a distinction however, but that does not relate to controlled substances. In the former example, pharmacies also sell many other everyday products, including many aimed specifically at children. In the latter example, medical marijuana dispensaries only dispense what has been prescribed and no more. Thus in the latter example, only people with prescriptions will visit the dispensary. I have said on many occasions that, in my opinion, arguments against medical marijuana dispensaries do not fare well against logical scrutiny. Many of the arguments against these dispensaries that I have read and heard more properly relate to recreational marijuana, which is a separate and distinct issue. Alan. Just one question as I understand the position and agree. My only question-can these dispensaries eventually sell recreational marijuana if the law changes or does the Westport P&Z reg prohibit it? Bart, as I understand the current regulations, they are designed to regulate medical marijuana dispensaries only. Again, as I understand it, the regulations themselves were derived from a state model, which in turn was the result of the state statute that permits these dispensaries. No applicant could come to the Commission with anything other that an application for a medical marijuana dispensary. Indeed the Commission has no jurisdiction to consider such an application because current state law prohibits the sale of recreational marijuana. In the event that the legislature enacts permissive legislation with respect to recreational marijuana, it will likely result in model regulations which could them become the subject of a text amendment to current Westport zoning regulations. However, the key here is in understanding that the legislation would be permissive in nature so that if the town did not want to introduce a text amendment to regulate recreational marijuana outlets, that would be the end of the matter. Remember that it is only since the medical marijuana regulations became part of Westport’s zoning regulations, that we have seen the recent applications. In my mind the arguments around recreational marijuana are completely different to those which pertain to medical marijuana. Medical marijuana relates to a “need”, whereas recreational marijuana relates to a “want”. Thus the regulations that might be produced if the town did wish to introduce regulations following a change in the law (which I would doubt), would be completely different because there would not be the underlying protections that relate to medical marijuana dispensaries. It might also help to understand just how restrictive the Westport regulations are related to this topic. The entire regulations (which are a short easy read) can be found here: http://www.westportct.gov/modules/showdocument.aspx?documentid=470 and I would encourage all interested parties to take a look. They are medical marijuana specific and cannot be used as a trojan horse for recreational marijuana.